Now Available on BasharTV*, DVD, and Instant Download! Q&A includes: Is location important for creating your desired reality? An discussion of fraud. How can you tell what your true excitement is? What about beliefs that are subconscious? How to negotiate with your negative ego. Guidance on channeling for others. Being genuine when selling a beneficial product. A new analogy of the relationship between the higher mind and physical mind. Using the sacred circuits to transform. Changing the theme of your life. Imaginary friends in childhood. Trusting the higher self and creating memory in the present. 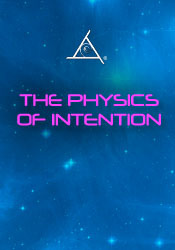 More on the physics of intention. Impact of sound on crystals. Causes of dementia in later life. The difference between Bashar and Buddha. Do some people have other lives as negative beings like Reptillians or the Illuninati? If we are eternal, why is it important to choose the right path before 2012? Relationship between chakras & vortices. The difference between worry and neutral awareness of negative beliefs. Dysfunctional relationships. What caused Mars to be without a civilization? How do our intentions relate to our oversoul? What is the true origin of the greys? Exploring fear of the unknown.